Conny Ochs believes that the best stories are always the ones that nobody told yet. He seeks to envision signs of the world that are concealed to most others, and to explore them in a more detailed and higher density. 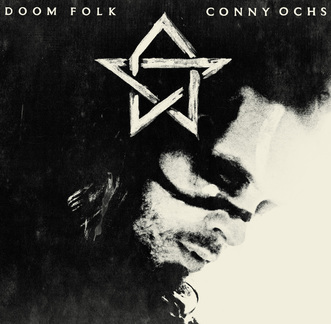 On his new album, Doom Folk, Conny follows different pathways to those which he has forged before, channeling his observations into narratives driven by two powerful forces, fervour, and vulnerability. Ochs’ previous albums Raw Love Songs (2011), Black Happy (2013) and Future Fables (2016), illustrate his evolution from a blues/folk troubadour to an accomplished singer/songwriter. In his early days, he traversed the globe as a cliché of the lonesome rider, armed with a rugged dreadnought guitar. Doom Folk closes a bracket around it’s three predecessors as well as the two records Conny Ochs recorded with Scott “Wino” Weinrich (Heavy Kingdom in 2012 and Freedom Conspiracy in 2015), which were also driven by a stripped-down attitude in musicality. While the inspiration is still clearly apparent, the bittersweet hymns of dark melancholy across Doom Folk feel new, refreshed, diverse, and with a slight touch of urgency. Conny Ochs has also expanded his musical repertoire to include, bass, drums, percussion, and organs which all find their way into the sounds of Doom Folk, adding tonal urgency, distortion and volume. 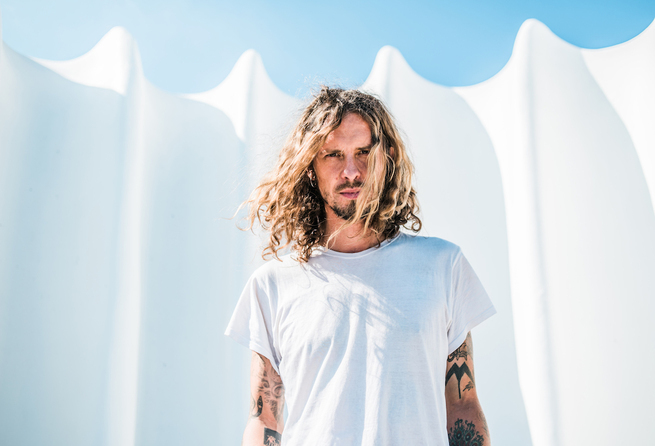 The album opener “Dark Tower” ignites a surge of emotion, paying tribute to the tragic death of Chris Cornell. “Hammer To Fit” cultivates a sense of hope and optimism while the guitar shimmers in engaging clarity across the tundra, recalling American stalwarts Howe Gelb or Rainer Ptacek. Ochs pays further homage to American songwriting with his eclectic and uncompromising country track “Gun In The Cradle.” While “Drunken Monkey” is a rare pop song amidst his otherwise more familiar flair and radiance counterbalanced by the darkness of the almost-anthemic “Waiting For The Pain” and the shadowy blues of “All Too Bright”, which recalls the morbid prurience of Nick Cave. Melancholy, insanity, attrition and hope, are nestled into Ochs’ loud/quiet dichotomy, which is carried forward by clean tones, nuanced instrumentation, and beautiful, authentic singing, before erupting into distortion and dissonance. Fans of William Elliot Whitmore, Steve Von Till, Wino, Scott Kelly, Woodie Guthrie, could well enjoy Doom Folk. Doom Folk will see release on LP, CD, and digital formats through Exile On Mainstream on February 15th. Find preorders and view the album trailer via the label’s website. Conny is booking live performances in support of Doom Folk, including the Exile On Mainstream 20th Anniversary Parties this year, April 4th through 7th at UT Connewitz in Leipzig, Germany, and on April 13th at Roadburn Festival in Tilburg, Netherlands. The Leipzig show will feature a full band while Roadburn will be blessed with a intimate, solo show.